Spending the vacation on a gigantic white ship is your child’s dream come true and a memory that he will surely never forget. If you are planning to take the family on a cruise ship vacation, you have to choose a cruise that is child friendly and offers varieties of activities for kids and amenities that is made for your kid’s pleasure. Many cruise ships now are continuously evolving to meet the passenger’s complete satisfaction. Not only the adults but also for their kids too. What could you ask for? Travelling on a cruise ship would be a perfect adventure for all the family members. Broaden your kids imagination and strengthen your family bond on a cruise escapade. Check out the amenities for kids in a cruise ship. Nursery for 6 months and older. You can bring your toddlers here whenever they feel bored or if they miss their toys at home. They can play with all of the toys in the nursery for free. There are professional kid’s attendant there that will attend to your kids, so you can have time to relax. Carousel and zip lines – these fun ride and zip lines are guaranteed safe for your kids and teens and rest assured that their safety is always on the priority list of the crews. Rock climbing walls – this is an activity that would surely suit the taste of your adventurous kids and teens. Spa for kids and teens – If your kids and teens are more on the indoor pleasures, then, a spa for kids and teens is the place for them. They can also watch movies in the theatre or play video games on the auditorium. Youth zones – a place dedicated only for kids ages 3 to 11 years old. Here, they can mingle with other kids. Shows where they can mingle with their animated characters like Shrek, kung fu panda and much more. Burger and pizza on-board – cruise ships have pizza shop and burger shop on board. Even their favorite milk shakes are given freely on the poolside on most cruise ships. They will never think of missing home when all they want to eat is here. There are lots of activities packed for your littles in a cruise ship such as; finger painting, DJ training, dance parties and scavenger hunts. In cruise ships, all their imaginations will come to life. 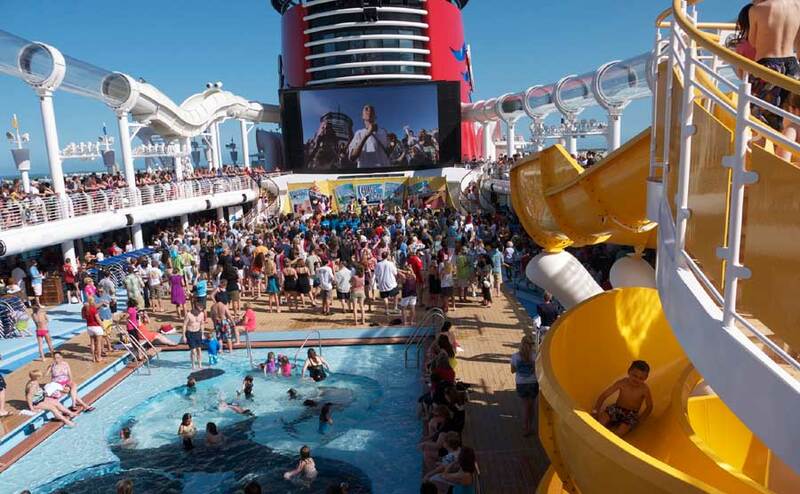 There will be never a boring time spent on the cruise ship. Your kids can have all the fun and rest assured that they will be safe, so you can enjoy your time relaxing while your kids are busy having fun with themselves.